Hall of the Mountain King: Review: Firewind, "Few Against Many"
While Gus G’s debut with Ozzy Osbourne was a pretty disappointing mess, with Gus as primarily a hired gun playing other people’s riffs, his other outfit, Firewind, has yet to disappoint. It’s not that they do anything out of the ordinary or innovative in the power metal world. It’s just that they do what they do so well. It’s a very guitar-driven, traditional-influenced power metal sound, and they’re one of the most consistent acts out there doing it. Few Against Many gets started right where you expect it to with first single “Wall of Sound.” There’s a very awkward part in the first verse where vocalist Apollo Papathanasio delivers this strange “yeah, yeah, yeah” line. After that it recovers quickly and settles into the band’s niche with a big chorus. It might not be their best effort from a lyrical standpoint, but gets things started on a good foot. As it turns out, though, “Wall of Sound” is one of the weakest tracks of the record. The album picks up quickly with “Losing My Mind” and its dark, slightly distorted intro that features a talkbox from Gus G. It builds to a tough, thrash-influenced riff and an interesting vocal melody from Papathanasio that’s just a little out of the ordinary, and then the big harmonized chorus. It’s one of the better songs on the record. The thrash influence continues in the riffing of the title track, a song that shows off the talents of drummer Johan Nunez, and throughout the record. Though you still have all the expected power metal melodic interludes and big gang-vocal bits, Few Against Many is firmly set in the band’s heavier vein. It reminds me a lot of my personal favorite from their catalog, 2006’s Allegiance. Gus G delivers much better riffs on this record than he was given to work with on the Ozzy album. The squealing main riff of “Glorious” is a perfect example. The song as a whole is one of the lighter pieces, with a bit of a commercial hard rock feel, but it’s catchy and memorable. It might be my favorite from a pure guitar standpoint. 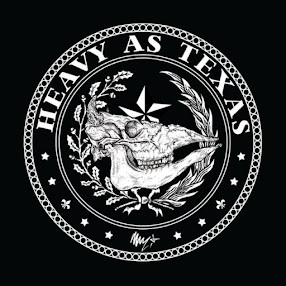 “Long Gone Tomorrow” delivers another one of those monster hard rock riffs. It, in fact, might have made a good Ozzy song – better than anything on his last two records for sure – but I’m happy with the Firewind version, too. The band gets an assist from Apocalyptica on “Edge of a Dream” a ballad that’s more about the piano, cello and Papathanasio’s vocals than Gus G’s guitar, though he takes his shot on the lead that’s the only audible guitar on the track for most of the first three minutes. “Battleborn” goes for a midtempo, epic feel with some chant-like harmonies and some cool guitar effects on the verse that lend to the mood. There’s a very traditional feel – maybe Dio-era Black Sabbath – on the pre-chorus. 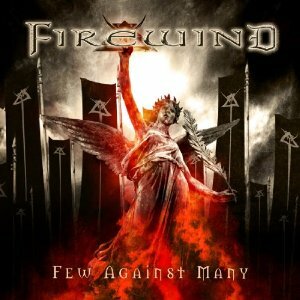 It’s just a cool all-around song and something just a little bit different for Firewind. We’re treated to two version of “No Heroes, No Sinners.” The first featuring a soft melodic verse interspersed with a soaring chorus and some bouncy metallic riffing. The second is a fully acoustic version, which I kind of like better. It has a more organic feel to it in the guitar, though the vocals, in places, are just a little too produced and stand out in contrast to the simple guitar as opposed to the full band treatment. Bottom line, Firewind is still Firewind, and they’re still one of the best things going in the genre today. It’s consistent, top notch power metal. Just what I expected. Nice to read this review.First time I am visiting this blog. I found so many interesting stuff in this blog.The articles are better than other blogs.Thank you so much for sharing this review.